1. 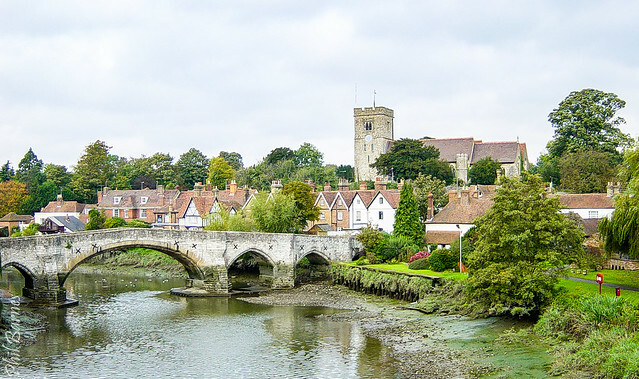 Depending on which side of the Medway River you were born defines if you are a Kentish man or a Man of Kent. Rivalry between the two titles dates back to William I’s conquest of Kent following the Battle of Hastings. Although opinions differ, the general feeling is that if you were born west of the Medway then you are a Kentish Man (or Woman) while those born to its east were Men (or Maids) of Kent. 2. Sevenoaks actually has eight oak trees along The Vine. Over the years many of the famous trees have fallen and been replaced, notably in 1902 when seven oaks were planted to commemorate the coronation of King Edward VII. Sadly, during the Great Storm of 1987 six were blown down and their replacements were planted in a ceremony involving Blue Peter TV presenters. 3. 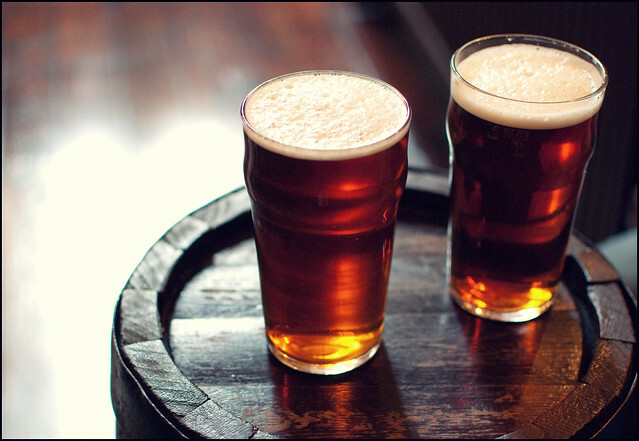 Britain’s oldest brewer is based in Faversham and can trace its origins all the way back to 1698. Today around 210,000 brewers’ barrels are produced a year at Shepherd Neame brewery right in the very heart of this medieval market town. 4. In 1895 Tunbridge Wells hosted the UK’s first motorsporting show. Organised by the town’s mayor, it was held on the Agricultural Showground where a grand total of five cars raced. Several hundred car enthusiasts and members of the press watched history being made. 5. 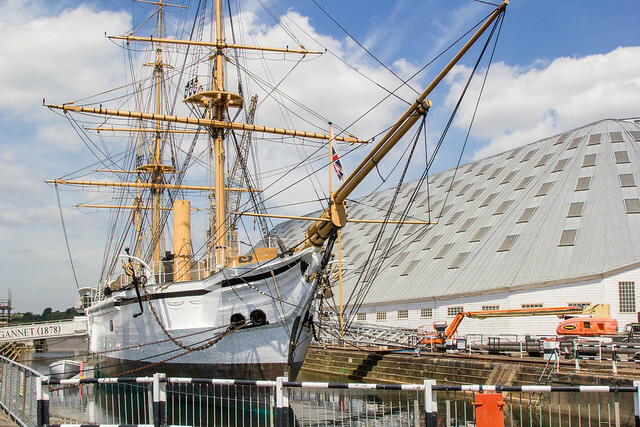 Chatham dockyard is regarded as one of the UK’s most important and indeed, after building more than 400 ships for the Royal Navy, including HMS Victory, it’s not hard to see why. Charles Dickens’ father worked here, Elizabeth I made a royal visit in 1573, the docks’ first ship, HMS Sunne, was built here in 1586, as were 12 submarines during the Second World War. 6. 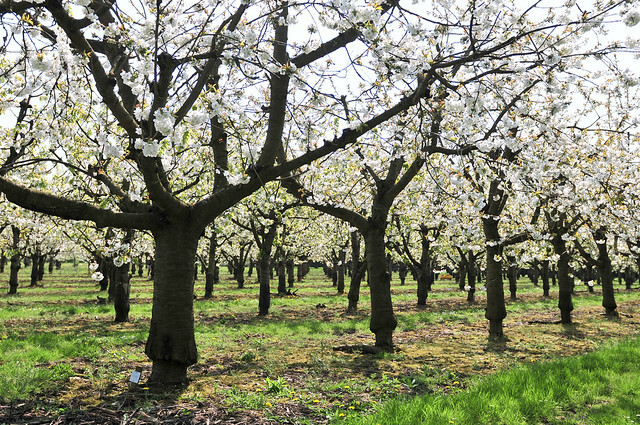 Faversham’s National Fruit Collection at Brogdale is the largest collection in the world growing on one site and includes more than 4,000 fruit varieties: 2,400 apples, 500 pears, 280 cherries, 300 plums, 50 hazelnuts, 150 gooseberries, 200 currants, plus small collections of vines, quinces, medlars and apricots. 7. 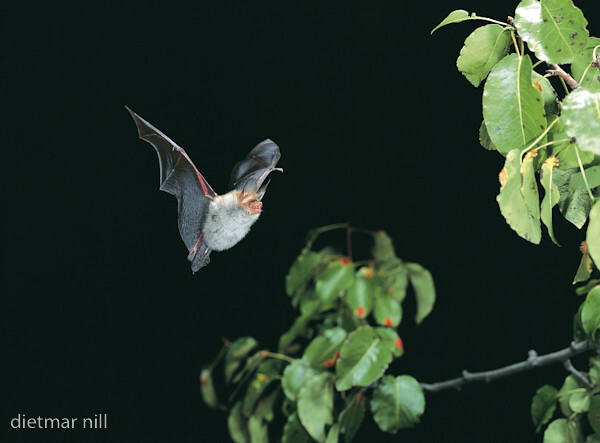 Loss of roosts, feeding areas and increased use of pesticides has led to a decline in bat numbers, but Kent’s Bat Group has reported an amazing 13 of Britain’s 18 resident bat species in the county, including the rare Serotine bat. 8. 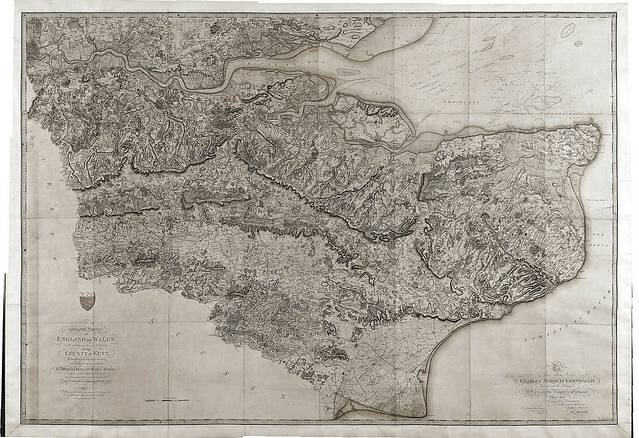 The Ordnance Survey’s very first map depicted Kent. The OS has origins dating back to 1745 and the map it produced was created in 1801 in the Tower of London drawing room. It had been commissioned back in the 1790s to defend England from a probable French invasion. 9. 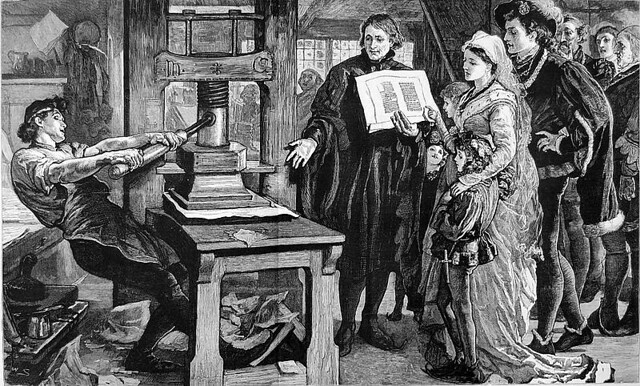 William Caxton, inventor of the printing press, was born in Kent and his invention helped many Kent dialect words and spellings become standard English. He was also the very first retailer of printed books in the UK and the first book he is said to have produced was none other than Chaucer’s Canterbury Tales. 10. David Bowie’s mother, Margaret, grew up in Southborough and met the star’s father Haywood Stenton Jones at Tunbridge Well’s former Ritz cinema. 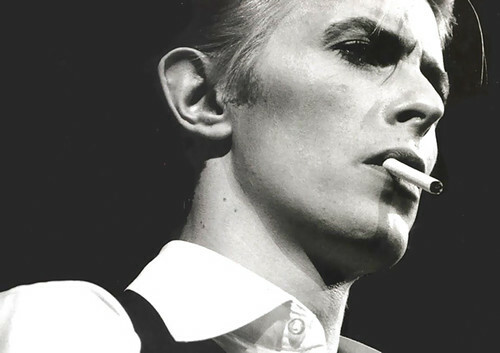 They moved to South London just before Bowie was born, but he attended Bromley Tech and played a number of gigs across Kent during his early years. 11. 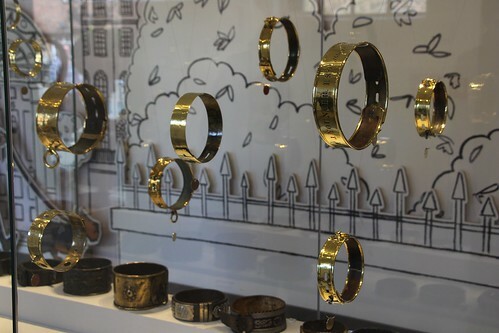 Leeds Castle is home to a collection of dog collars, ranging from the fashionable to the frightening and dating as far back as the medieval ages. The collection is visited by more than 500,000 dog lovers a year. 12. 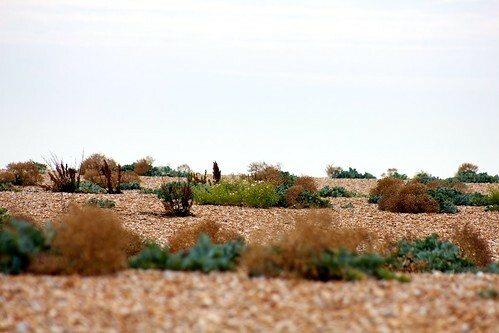 Dungeness is home to at least 600 species of plant, roughly one third of the UK’s total number of species, and has been recognised as one of 165 Important Plant Areas in the UK. 13. 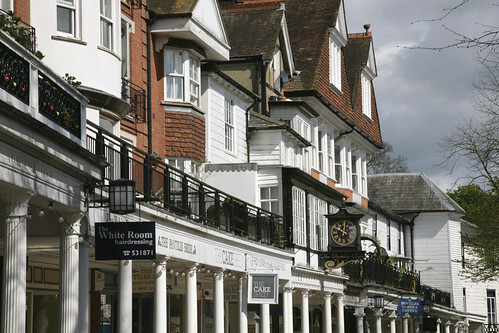 The elegant colonnaded walkway that is the Pantiles in Tunbridge Wells got its unusual name following a visit by Princess Anne in 1698 when her son, the Duke of Gloucester, slipped and fell while playing. She gave £100 to have the Upper Walk paved but when she returned the following year and nothing had been done, she left, never to return again. Eventually the Walks were paved with Pantiles (clay tiles baked in a pan), hence the name. 14. Studies have shown that couples from Sevenoaks are three times as likely to stay married as couples who live in St Leonards-on-Sea in Sussex. 15. Botany Bay got its name because the common fate of a captured smuggler was deportation to Botany Bay in Sydney, Australia. 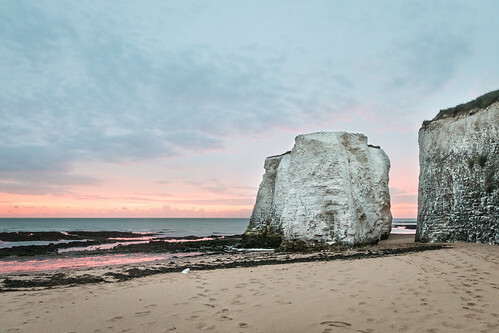 In the late 18th century there was a big battle at Kent’s Botany Bay between the smugglers and the revenue men which resulted in both fatalities and deportations. 16. 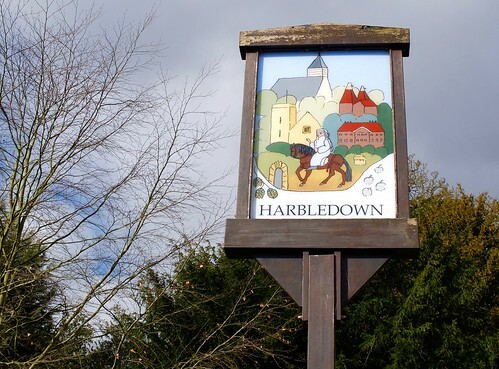 One of the earliest hospitals in Britain was located in Harbledown, an area supposed to be particularly good for growing herbs in the hills, which was one of the reasons why it was chosen. 17. 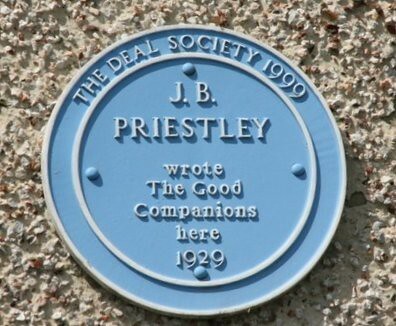 The Good Companions, JB Priestley’s most famous novel, was written while the author and playwright was living in Deal. A blue plaque commemorates his time at 49, The Marina. 18. 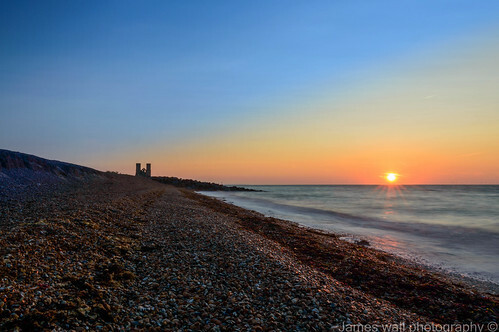 Kent has a whopping 20 per cent of the entire UK’s coastline and also boasts 12 per cent of Europe’s coastal chalk, together with the longest continuous stretch of coastal chalk in Britain. 19. Horseshoe-shaped Viking Bay at Broadstairs was the training ground of the British Olympians for the 1924 Paris Olympics and the subject of the movie, Chariots of Fire. Many Olympians, including Harold Abrahams, the 1924 Olympic 100 metres Gold medal winner stayed in the town before continuing on to Paris. 20. 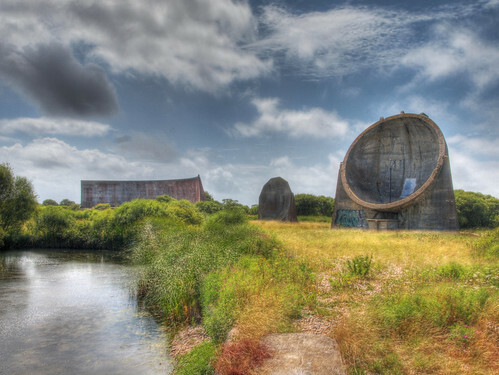 The ‘Listening Ears’ at Dungeness were forerunners to the early radar system. The sound mirrors were intended to provide early warning of enemy aeroplanes approaching Britain across the English Channel.